According to data from the U.S. Census Bureau, there are an estimated 2 million U.S. residents of Cuban ethnic origin. The Pew Research Center reports that the majority of Cubans in the United States (68%) are concentrated in the state of Florida. California has the second largest population with just 5%, followed by New Jersey with 4%, and then Texas and New York, each with 3%. Google Trends data shows interest in travel to Cuba spiked in December 2014 after the president announced plans to loosen restrictions on travel to Cuba that month. 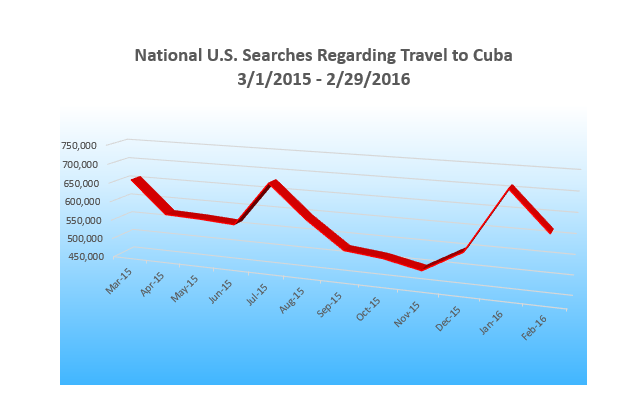 iQuanti reviewed the latest national monthly Google Search data from the past year (March 1, 2015-February 29, 2016), looking at keyword searches within relevant search themes relating to travel to Cuba. 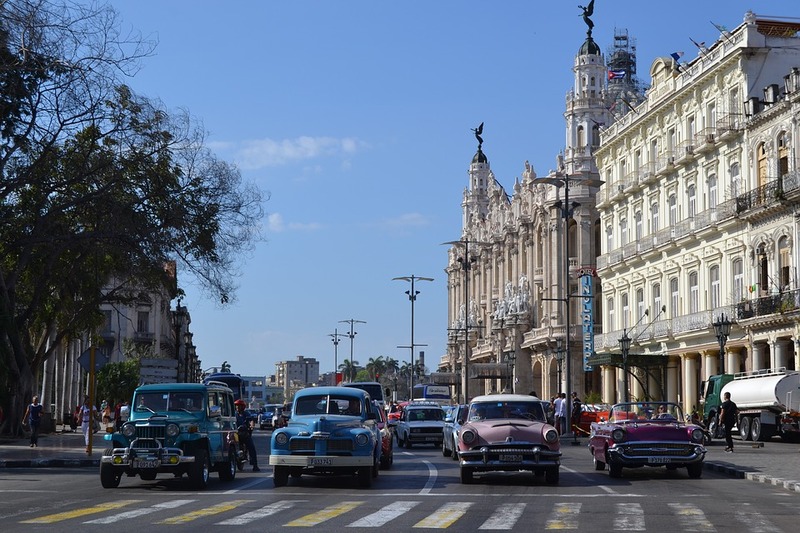 Nationally, there were over 7 million searches including approximately 650 keyword terms within the themes of trips to Cuba, Cuban resorts, Cuban vacation packages, cheap travel and discounts for vacationing in Cuba, Cuban tourism, and flights to Cuba. 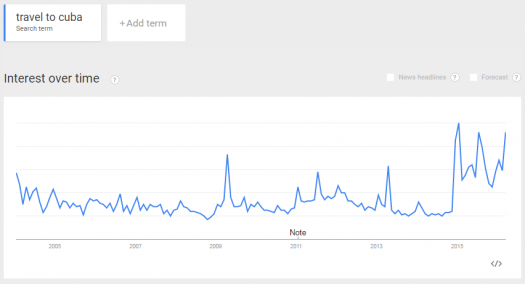 Interest was heaviest during the months of March, July, and January during the 12 months. Analysis found the greatest number of total searches predominately in the states with the largest Cuban populations. However, Florida, which has the highest concentration of the nation’s Cuban population, ranked third with 554,730 searches. California, which is home to just 5% of the nation’s Cuban population, had the most related searches (1,026,860) for the period, followed by Texas with approximately 567,880 related searches. 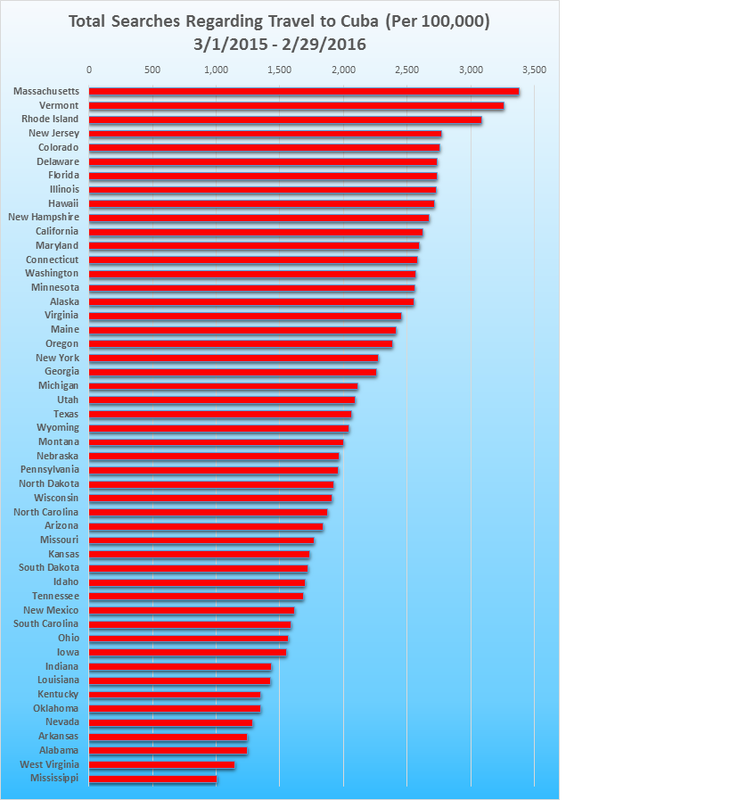 When factoring in each states’ total populations, however, the state with the most interest per capita was Massachusetts with 3,382 searches per 100,000 residents during the 12 months, based on keywords included in the analysis. 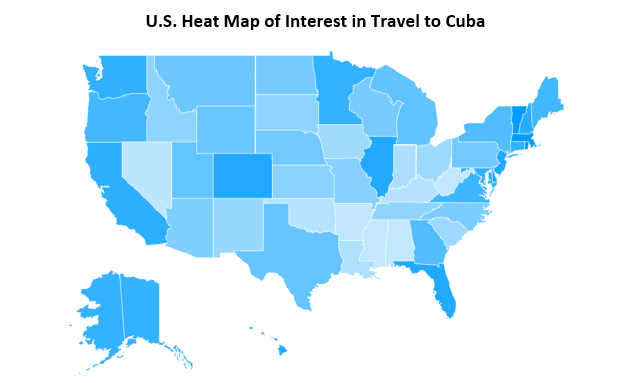 Vermont residents showed the second most interest in travel to Cuba, followed by Rhode Island, New Jersey, Colorado, Delaware, and then Florida.